Custom TV Wall Mount that was designed and pre wired during the frame stage of a build. The bracket was supplied & mounted on the wall prior to the stones being installed. 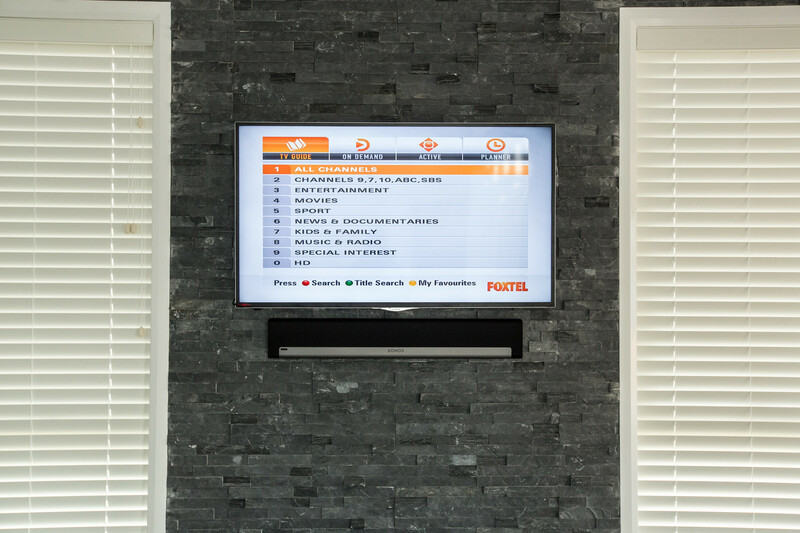 Digital Modulation has also been set up; broadcasting 2 Foxtel Boxes throughout the house on a multilevel platform. 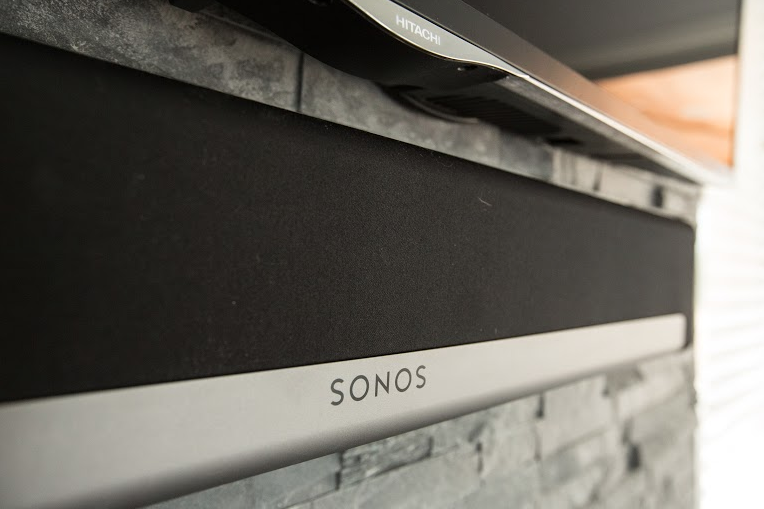 As a result, the TV sits flush for a streamline finish, mounted with the amazing Sonos playbar.